Empire of Books: The Maze Runner movie gets official release date! So. We've got a Divergent movie coming out next March. Amazing. I cannot wait! Of course there is Mockingjay Part 1 in November. Brilliant. Any more of my favourite books want to be adapted into a movie and released at some point in 2014? Oh... Wait... What is this? 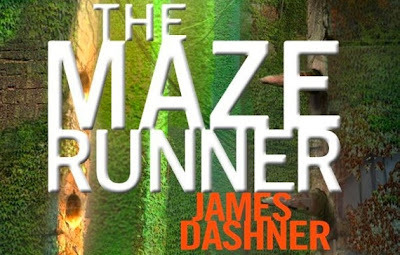 The Maze Runner... Hell yes! I love this trilogy, the first book in particular is amazing. And it has now officially been announced that the movie will come out (in America anyway, hopefully the UK release won't be that different...) on 14th February 2014! That's right. Valentine's Day. I for one am pretty damn excited. If done right, it could make an amazing film! Bring it on! I love the maze runner! Great trilogy! I wonder if the movie producers are going to include "The Kill Order" somewhere in the first movie? Perhaps use it as a quick prologue,before the real action starts?